Dr. Yarmohammadi accepts the following list of insurance providers. Select your insurance provider to see more details. I am an interventional radiologist, and I use CT, MRI, ultrasound, or x-ray (fluoroscopy) technology to perform “minimally invasive” procedures. Due to advances in technology I am able to perform procedures with needles rather than incisions. I use these innovative techniques to kill tumors cells by burning or freezing them (ablation) or blocking blood supply (embolization) to tumors in the liver, lung, and pancreas. 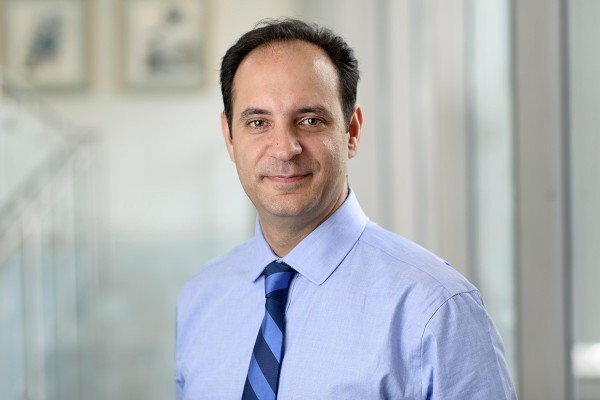 I am a member of the Memorial Sloan Kettering Hepatobiliary multi-disciplinary team and work closely with hepatobiliary surgeons, gastrointestinal oncologist, and gastroenterologists in order to provide best treatment options to fight liver, gall bladder, and pancreatic cancers. My research interests are focused on finding new effective treatments for pancreatic cancer. Additionally, I am very interested in maintaining patient’s quality of life and as such I am developing safer techniques for treatment of ascites, or fluid in the abdomen. I serve as principal investigator on two studies investigating the biology of ascites with the hope that the results of these studies will ultimately assist us in development of safer treatment methods that prolong overall survival rate and decrease recurrence of ascites. I received my MD degree from the Shiraz University of Medical Sciences in Shiraz, Iran and attended a general surgery residency at the Shiraz University of Medical Sciences. I completed a general surgery internship in the University of Pennsylvania Health System, and a diagnostic radiology residency at University Hospitals, Case Medical Center, Cleveland, Ohio. This was followed by a fellowship in interventional radiology at Johns Hopkins Medical Center in Baltimore, Maryland. Visit PubMed for a full listing of Dr. Yarmohammadi’s journal articles. Pubmed is an online index of research papers and other articles from the US National Library of Medicine and the National Institutes of Health.